Jumanji: Welcome to the Jungle is keeping up with the times, tossing away the ol’ board game experience. Instead, it turns into a video game cartridge, transporting anyone who plays the game into another dimension. Four unlucky high school students discover Jumanji during their time in detention, becoming the next victims in a frantic jungle adventure. On top of that, the group also take on their avatars in the game, transforming into completely different people with their own unique skills. 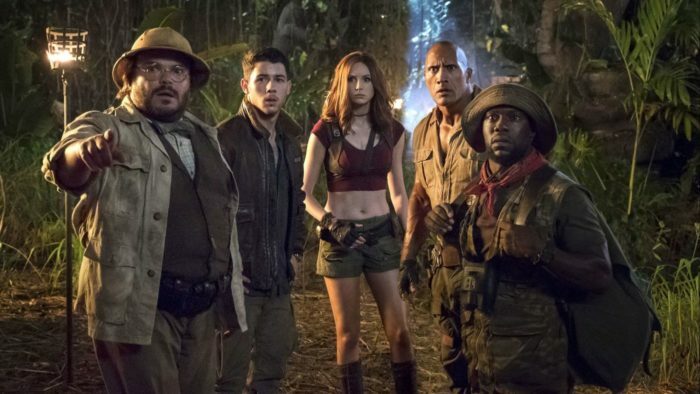 Jumanji: Welcome to the Jungle is filled with tight action and plenty of laughs to go around, making for another great movie date with your squad if you’re looking for another movie like Ready Player One.